Vectronix is a global leader in state-of-the-art optronic equipment, systems and sensors for military and civil applications. Nearly 90 years of Swiss tradition, excellence in optics and precision engineering are reflected in our products, which include handheld laser rangefinders and night vision devices, tripod-mounted orientation and positioning systems and sensor modules for our OEM partners. We are proud to offer our customers accurate, reliable, high-quality products with a combat-proven low failure rate. We possess the flexibility to address specific customer requirements, create customised solutions and provide support over the complete product lifecycle. Through our extensive distribution network, we export over 95% of our products worldwide. Headquartered in Heerbrugg, Switzerland, Vectronix AG is owned by Sagem (Safran group) and maintains two subsidiaries with four branches in the US. Vectronix’ STERNA provides true north capabilities 24/7 in virtually any environment, and works in virtually all weather conditions. STERNA operates independently and does not require the soldier to carry any support resources to directly determine true north. Vectronix’ STERNA does not require GPS, celestial bodies, survey, or landmarks, and can operate in a magnetically charged environment, thus greatly reducing the cost of replacement parts. 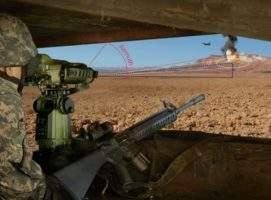 STERNA’s independent true north capabilities permit the soldier to operate in virtually all battle and hostile environments. 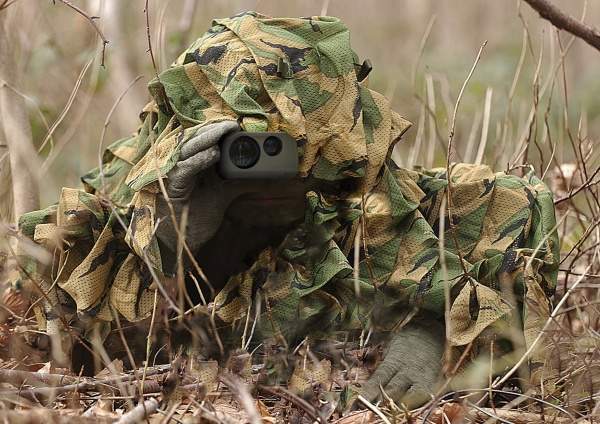 The newest generation of the Vectronix pocket laser range finder offers snipers / spotters, marksmen and forward observers the smallest, most powerful MILSPEC eye-safe laser range finder available. Ranging measurements up to 4,000m, as well as accurate angle measurements, are no problem for the lightweight, compact unit. Weighing 500g and measuring only 131mm x 88mm x 56mm, the PLRF25C is ready for combat operations in the most extreme conditions. The PLRF25C fits easily in any pocket and is water resistant up to 1m deep for 30 minutes (optional 10m). The Vectronix TERRAPIN delivers the smallest, lightest and most powerful laser range finder in its class. Wrapped in a rugged yet lightweight aluminum housing, the TERRAPIN offers exceptional range out to 2,400m and operating capability under a wide variety of environmental conditions. TERRAPIN offers water resistance up to 1m for 60 minutes. The small dimensions of 128mm x 104mm x 47mm and the low weight of 500g make the TERRAPIN an ideal companion, especially for those who need range up to 2.4km. The power-efficient design allows over 7,000 measurements on two CR123 batteries. 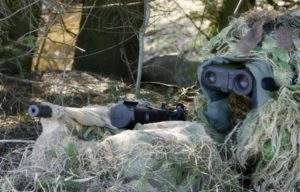 The TACS-M easily attaches to existing night vision devices (NVDs) to add additional capabilities. Low power consumption, optimal sensor technology and high-performance optics integrate seamlessly to provide state-of-the-art long-wave infrared technology. Since TACS-M mounts on currently-existing NVDs with a bracket, the clip-on technology allows increased capabilities without the need to refit helmets for special equipment. The miniaturised design causes the unit to be lightweight. TACS-M consumes very little power and consequently can be used for extended periods of time. The unit’s waterproof and rugged construction can withstand the harshest environments. MOSKITO includes all the essential day / night viewing, measuring and geo-location functions in a compact and user-friendly package. MOSKITO measures range, azimuth and vertical angle. In addition, it incorporates the latest image intensifier technology for night time viewing, including self-regulation to different levels of brightness. Options include a C/A code GPS receiver, Bluetooth module and cable for data transfer to C4I systems. Laser rangefinder, day and night channels are matched to each other and optimised for close and medium range applications up to 2500m. The result is an ergonomic, robust, compact and lightweight piece of equipment (1.2kg) which adapts to a multitude of mission scenarios. 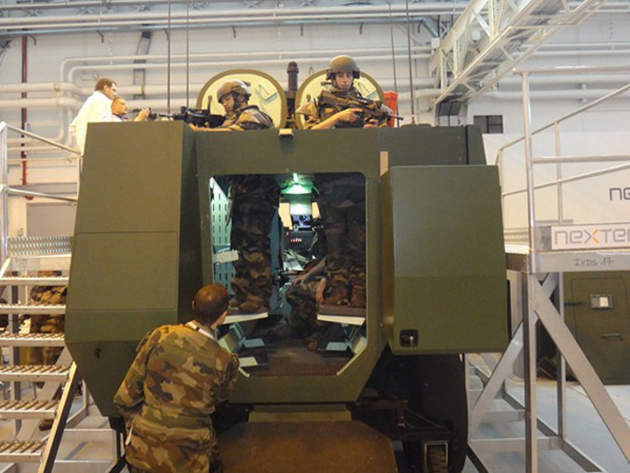 Vectronix is a global leader in state-of-the-art optronic equipment, systems and sensors for military and civil applications. 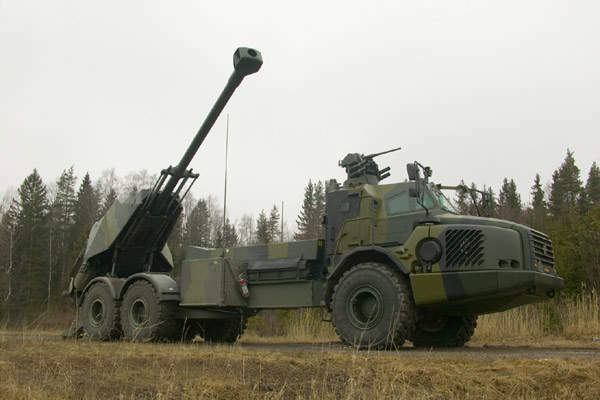 BAE Systems Bofors in Karlskoga, Sweden, has developed the FH77 BW L52 self-propelled howitzer, a 155mm howitzer on a 6x6 chassis. Vectronix will provide the handheld precision targeting solutions to support the Handheld Precision Targeting Devices (HHPTD) solicitation awarded on July 3rd, 2012. 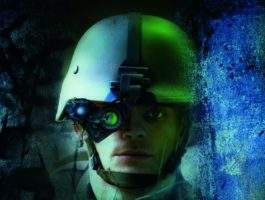 Vectronix AG, the Swiss-based global leader in portable optronics solutions, introduces its newest clip-on night sight.